It’s the simple things sometimes that make events great. A good color combination. A fantastic live band. Amazing food served to perfection. 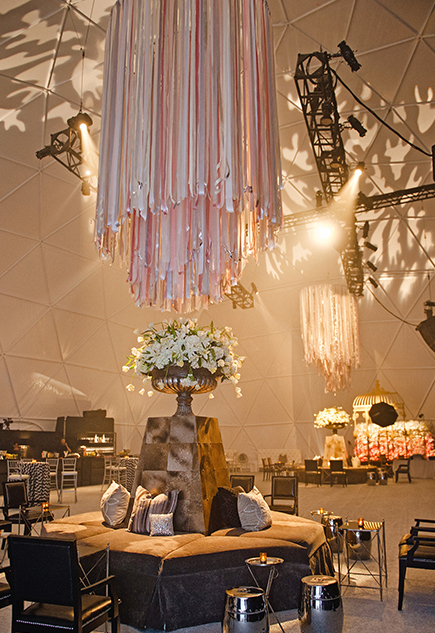 I often think that it’s the event decor and concept behind the event that makes it not just memorable, but enjoyable. Now I’m not saying you have to go all out themed to the max or anything. But a little thought and a little planning go a long way, For example, a few weeks ago I shared this sophisticated blush and gold decor ideas board, perfect for any number of events. It’s traditional, elegant, sophisticated. It looks like it is a higher end event, not because of the blush pink, white, and gold. No, it looks so refined because of the strategic use of items and shapes combined. Which do you like more? This week’s modern and feminine soiree, or the more traditional and classic gala ideas in blush and gold? This week we are taking it back to the fifties, party people! That’s right, a classic cruisers of the 50’s party ideas board awaits you! A few weeks ago when I was working on my mechanic’s garage car themed party, I stumbled onto a ton of fantastic car related decor, for all sorts of different styles. Now, of course I pinned my favorites to my car and racing party ideas board on Pinterest, but I save a few just for this week’s classic car themed party. Pin your favorites for future reference, you never know when you may need them! Do you like more of the classic car themed party? Or do you prefer more of the high energy, racing style? You know how sometimes, people say “Let’s host a summer luau party” and a lot of the time the initial reaction is “EEEHHHH” because it’s been SO commercialized and become less and less authentic, and incredibly predicable and cheesy? I think the poor disco ball has also waltzed into that arena. It’s hard to work with disco balls and make them look high end. The proportions, proper lighting, and necessary ambiance needed to really pull them off is hard to do. Then there are the other questions that come up, such as what type of party is this? Is it a neon party themed? Or just disco balls? Can you even use disco balls without other decor? This week I’ve put together a disco ball party decor ideas board to help navigate and inspire your inner decorator. I think the key is to work with lots of quantities, you can’t just have one big disco ball over the dance floor, and to work with lots of different sizes. There is a reason people are fascinated with the disco ball; it’s just so shiny! So to keep the focus where it should be, I’ve opted to make the focal “color”, if you will, white. It’s not really a focus, but it’s what everyone else will be seeing in the areas not touched by the disco ball decor. Plus, white is an excellent background to make the disco ball effects pop on! From wedding reception, to modern gala, to holiday party, I think this theme could translate into any celebration, don’t you? You know the saying “sometimes less is more”? I so rarely agree with it, but this week I make the exception, and agree less can be more. When I’m putting together an event decor concept board, I love to design event concepts that are rich and dynamic. Something that will continually wow guests as the event unfolds, from hidden elements mixed into perimeter decor, to thoughtful additions in the place settings. I’m the first one to advocate for bold colors and wild prints, textures everywhere with layers of details. But you know what? Something just hit me this week, swaying me towards a more simple design direction. Make no mistake, it may be simple in concept, but there are still plenty of unique and specific design elements at play here in this simple succulent event decor ideas board. While there may not be as many layers and targeted wow features, there is still a continuity of design here that resonates beautifully throughout. Where I would normally go all out with a high impact entrance, I went for a white will with strategically placed air plants. Where normally a focal bar would sit, I switched gears and went for a succulents arranging bar, where theoretically guests could create their own little arrangements and take them home. It would be fantastic to have a horticulturist on site to help recommend combinations and placements, and give guests care tips for their new plants. The table that I normally love covered with linens and colors and perfect silverware with matching stemware, is simple neutrals with succulent accents. Even the lounge is a clean white, with sandy floors and pillar candles. I could see these simple succulent event decor ideas working from events such as weddings, to luncheons, and even social events. The succulents are powerful enough to be the focus of the event decor, but not so dominating that they couldn’t be made the second focus of the event, so there would be room for whatever the message or goal of the event was. How do you like to see succulents incorporated into event decor? What comes to mind with you think “black tie gala”? Is it the gowns, the champagne, or the socializing? Do you ever think of associating the color blush in a fundraiser or gala setting? It’s easy to disassociate the two, as blush is a popular choice for weddings year round; however I think it’s worth exploring that soft shade of pink in the gala setting. Used sparingly and carefully, blush can add a sense of life and freshness into an environment that is often a little stiff. Below I’ve curated a few of my favorite inspiration pictures that I believe would be a great start to a sophisticated blush, gold, and white gala with crystal accents. The crystal chandeliers and candelabras make the event so refined, but it’s the subtle blush napkins or rose accents that help soften this design. Where I think this concept really shines is its ability to translate into an after party space or lounge on the lawn. The greenery in the grass only enhances the neutral color palette, enhancing the look further. What type of organization do you know of that could throw an event like this?